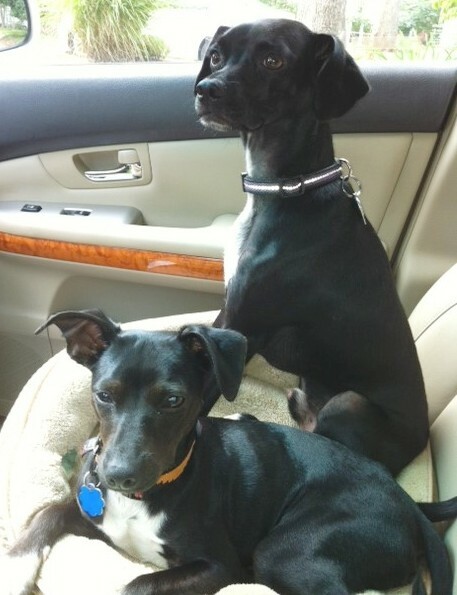 ClintonCoHumaneSociety.org: WHAT A PAIR OF VERY HANDSOME DOGS! THANK YOU, JAY, FOR SHARING. WHAT A PAIR OF VERY HANDSOME DOGS! THANK YOU, JAY, FOR SHARING. FKA Batman aka Ziggy is a happy boy here with his brother Jay. The boys are great together and Ziggy is such a sweet, easy going guy. We're in private school to bring his skills up to speed along with Jay. We run in the am, go to work all day and get in a little tug of war, too! Everyone loves us too! Life is good! Thank you for letting us be together! Jay, Ziggy and Roxy.